Bring your A game or stay away! Omar Bilal Akhtar of Aunty Disco Project was right in his analogy about Coke Studio and the Pakistan cricket team. "It's like cricket. It's bringing the nation together, evoking strong emotions and getting an opinion from almost everybody." As the fifth and final episode of Coke Studio airs tonight, there is a lot that can be said about this year's show. Amidst a seemingly dead climate of entertainment or fashion weeks (if you're into that sort of thing), Coke Studio continues to charm audiences. But this year, the show has also been subject to criticism, the first time since its beginning three years ago. "Too much folk" or no "Atif" or "Ali Zafar" etc. But the artists showcased this season say it all. A few have fumbled their way through the season while others have been pure knockouts. But together it leads to one conclusion: Coke Studio is setting a standard of performance that has never existed before. From the sound to the studio itself, the visuals to the house band and the scale of production to the musical ideas that flow, it's a standard that is unmatched. "No artist is too small or too big for Coke Studio," says producer Rohail Hyatt. It is with this notion acts like ADP, EP and Karavan found themselves on Coke Studio. They don't exactly bring the kind of ratings or popularity that Atif Aslam or Ali Zafar can whip up. But Coke Studio is for everyone, maintain its producers. What this season has clearly demonstrated is the need to be open to ideas and improvisation. It's this character that differentiates Noori from Karavan, Meesha Shafi from EP, et al. Bands do need to get their act together and they need some kind of vision before entering the studio. As producer Rohail Hyatt certainly gives them direction but the desire to experiment and reach out is essential. It's necessary when other acts include the likes of Abida Parveen (whose vocals alone can set the stage on fire) and Tina Sani (a musical giant in her own right), our pop acts cannot go in, rehash their hit songs and expect to make an impact. As the third season is wrapping, it's becoming clear that while producer Rohail Hyatt maintains the show is for everyone, it needs artists to think outside the musical box. Take Karavan, ADP and EP this season. Karavan's 'Yaadein' and 'Kaise Mumkin' and EP's 'Bolo Bolo' - they were decent at best and clichéd and boring at worst. For EP, Coke Studio was a big moment. After a break-up and one album that released seven years ago (Irtiqa, 2003), EP should've done something different. Instead they toned down Sajjad Ali with 'Bolo Bolo' and didn't exactly bring anything extraordinary to the table. And that's the key to shining at Coke Studio. You need to be EXTRAORDINARY. Same was the case with Karavan. They were good but were they as memorable as Noori on season two? Hardly. In comparison, ADP's 'Sultanat' with its grungy guitar solo, darbuka on fire and OBA displaying his front-man skills was a rocking performance, the kind one wished EP had put up. Coke Studio puts together some of the most seasoned players in its house band and every year it evolves. This year the backing vocalists comprising of Saba Shabbir and new additions Sanam Saeed and Zoey Viccaji is a lethal trio. These girls are so good that they merit a song together. And it makes sense. Coke Studio is already serving as a platform to showcase new talent. Some of the other highlights include Arif Lohar. He deserves the rock icon credit this season. His ideas of metal on 'Mirza Sahibaan' leave no room for discussion. It's a deadly heavy metal tune and it's brilliant. Arif had no inhibitions and he was clear unlike our EP boys whose confusion hurdled its way over to the BTS (behind the scene) footage of the show with Fawad asking his bandmates "what are we doing, again?" I mean, you should have been planning out what you would do since Rohail Hyatt approached you to come on board! Meanwhile the comeback kids, Noori and Zeb and Haniya continue to defy expectations with their good and their bad ditties. The collaboration between the two artists wasn't as intriguing or exciting as we hoped. 'Tann Dolay' is signature Noori. It's another decent floating number that isn't memorable. But Noori and Zeb and Haniya understand the experimental fun of Coke Studio. Zeb and Haniya introduced us to Afghanistan's 'Bibi Sanam Janem' and the Turkish delight, 'Nazaar Eyle' this season while Noori alongside their mom Noor Zehra introduced the instrument Saagar Veena and an old tune, a rendition of Hamid Ali Bela's 'Hor Vi Neevan Ho'. They could've just done another 'Tann Dolay' but they didn't and this gives Noori an edge, it gives Zeb and Haniya an edge over other artists who continue to play out the same ideas. All this takes us back to the older seasons, where it all began. Only artists who have understood the ethos of Coke Studio have managed success in the long haul. Ali Zafar is a shining example. On season one, he reinvented some of his most popular numbers but his shining moment came with 'Allah Hoo' on which he collaborated with Saeen Tufail Ahmed. It was a breakthrough moment for a 'pop' star known for his often cheesy love tunes. Ali picked up on the fact that it was his Eastern 'Allah Hoo' that had caught attention. In '09 when season two aired, one didn't hear Ali belting more pop wonders. Instead he switched to the Eastern side and came up with the magnificent 'Dastaan-e-Ishq', 'Nahin Ray Nahin' and Ustad M Jumman's timeless 'Yaar Dhadee'. Ali Zafar was a sensation as he broke all preconceived notions about plastic pop. There is also Noori who reinvented itself with Coke Studio. The band had all but disappeared and when Coke Studio came calling last year, Noori answered with 'Aik Alif' and 'Saari Raat Jaga'. They didn't shy away from unknown territory and perhaps it's this reason why Saeen Zahoor and Noori together on 'Aik Alif' are still hypnotic. With each song Noori scored higher with old fans and created new ones. It was this character that made them bigger that season than either Shafqat Amanat Ali Khan (who remains a huge disappointment) and even Atif Aslam. In Atif's case, even he tried things differently, choosing unlikely numbers from his record to sing out loud, leaving a lasting impression. Like season one and two, where Ali Zafar and Ali Hamza (Noori) were the breakthrough stars, this season that honour must go to Meesha Shafi. Unknown beyond music circles, Meesha is a powerhouse of potential talent and what makes her even more dynamic is that she's willing to push the envelope. Obviously, her being very easy on the eyes also helps. Her collaboration with Arif Lohar on 'Alif Allah' is this year's biggest hit while her rendition of Reshma's 'Chori Chori' contains explosive verve. Meesha dared to be different, she is the anti-thesis to Zeb and Haniya and it works. Another artist who is shockingly good is Amanat Ali. Instead of reworking songs from his abysmal debut album, Kohram, Amanat Ali choose to reinvent 'Aisha' in his own pop-esque ballad way and it sounds fantastic. 'Aisha' is the kind of stuff he should be attempting on his own album. Anyway, his collaboration with the delightful Sanam Marvi on 'Haq Maujood' is trippy. 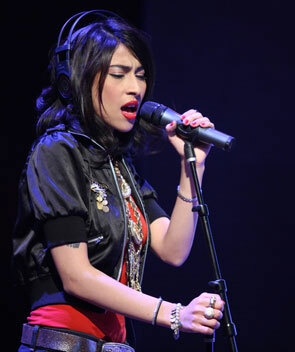 Amanat Ali and Meesha Shafi are young players in the music industry and these performances will go a long way for them. It's important to realize that Coke Studio's appeal extends beyond local shores. It's watched in India and across the board. It's a critical platform that can build stars, create new identities, introduce old acts in a different shade, re-invent some names and in a country where musical activity is slow and unprofessional, this show is even more important. And with every passing year, it is gaining momentum. Ultimately Coke Studio isn't just any musical platform. It's fusion and history, regional languages and ancient kafis coming together in a modern melting pot of music. 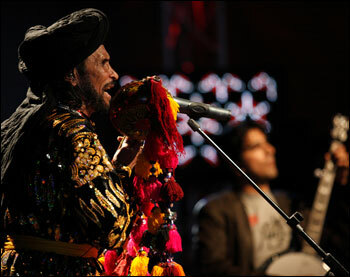 Artists like Fakir Juman Shah and Sanam Marvi can only come forward on a national platform that Coke Studio has become. The view that some of these acts are too refined in their art to be understood may represent a viewpoint. But it is the standard of Coke Studio that makes it acceptable for these acts to be on this stage. Where else have we heard Sanam Marvi before or such slick recording of the Fakirs? It is refreshing to see that Rizwan and Muazzam Qawwal (they maybe unknown to Pakistan but they perform all over the world representing Pakistan) are not contained in a four-minute pop song fashion. And its only when acts like Sanam Marvi, a voice of Sindh meets Amanat Ali, a trained pop singer, when true musical fusion takes place. And that's the standard of Coke Studio. As the final episode runs tonight with tunes from Tina Sani and Abida Parveen as well as all the other featured acts of this season, one thing is clear, musicians need to re-think their act when they get a call on Coke Studio. The fact that its open to all is commendable and needed - young acts like ADP must get that nudge for commercial and creative reasons - but the music industry must consider it an opportunity and bring out their A-game. the languages may vary, but discovery and learning are a part of the journey. Coke Studio has just opened the door.